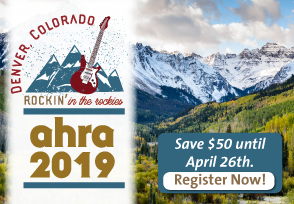 Connecting medical imaging leaders to the latest industry news, best practices, and AHRA happenings. Coaching is a relationship with a purpose, focused on facilitating improvement. Kenneth explained that coaching is not psychotherapy, manipulation, supervision, criticism, or a substitute for decision making. Coaching, mentoring, teaching, and counseling are all related but the terms are not interchangeable. Anyone can learn to coach (this was encouraging to hear), it can be formal or informal, and it can go down the chain of command…..or up! He really kept the crowd engaged and explained the concepts in ways that were easy to understand. We also had three practice sessions where we were divided into groups of three and got to practice being both the coach and the coachee. This was extremely helpful and a lot of us were reminded that coaching takes practice. So many of us wanted to immediately jump in and solve the problem. Kenneth commented on this and reminded us to stop talking at people and talk with them! Help them to come up with the solution themselves. We were given three main tips in regards to Coaching 101. We have two ears and one mouth for a reason. He reminded us that we need to catch before we pitch and to stop interrupting. Make sure you understand what the person is saying. Listening is a very, very big deal! Kenneth also advised us to ask open-ended questions because they ask for a bigger response and force the coachee to engage. A really effective way to get the coachee to engage more is to remain silent during parts of the conversation. Silence is ok, and good coaches know when to pause and wait. It can be uncomfortable, so the coachee will start talking more to fill the silence. In summary, this was an amazing session and everyone in attendance really seemed to enjoy it. I think all of us are striving to become better leaders and by practicing these skills and becoming great coaches, we can accomplish that goal. In addition to this, it’s important for us to have a great coach as well. It seems in the workplace there’s this notion that once you get to a certain point, you no longer need instruction. Coaching in pro sports proceeds from a starkly different premise: it considers the teaching model naïve about our human capacity for self-perfection. It holds that, no matter how well prepared people are in their formative years, few can achieve and maintain their best performance on their own. Imagine what we could accomplish if we carried this idea over to the workplace! Carrie Stiles, MBA, CRA, RT(R)(CT) works at Houston Methodist Hospital in Houston, TX. She can be reached at cstiles@HoustonMethodist.org. Listening is a key skill in terms of communication. Without good communication management process will fail. Sandy Edson on Time to Recharge! rick on Time to Recharge! Brenda DeBastiani on Time to Recharge! Jerry Noethen on Time to Recharge! Jason Newmark on What a Difference a Year Makes! John Beall on Have You Ever Felt Like This Mighty Tree in The Alamo’s Garden in San Antonio? Have a question or need advice? Ask your colleague’s in AHRA Connect, an online community with over 100,000 messages and 5000 members from all over the world. AHRA: The Association for Medical Imaging Management is the professional organization representing management at all levels of hospital imaging departments, freestanding imaging centers, and group practices. Founded in 1973, AHRA’s 5000 members reach across the country and around the world. Go to www.AHRA.org for more information.